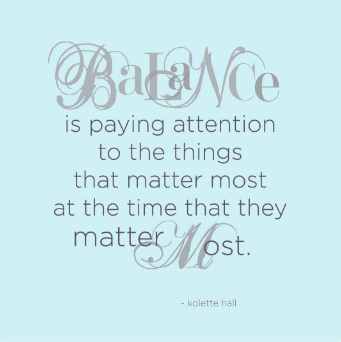 Balance – this is such an important little word. For one, without it we can’t walk without falling over – that alone should prove it’s importance. We live in a society where people are becoming more aware that maintaining a healthy lifestyle that includes fresh foods, exercise and some well earned time out is our ticket to living happily and dis-ease free for longer. Sometimes it is easy to get caught up in all the fuss around clean eating and cross fit and marathons and avoiding sugar FULL STOP! I don’t know about you but even when I know its ok to have a day off exercising or to indulge in a sugary treat – I rarely used to enjoy it because I was feeling guilty about my lack of commitment regardless of the fact that I had run 5kms the day before. This is no way to live and I learned that FAST! Let me tell you a bit about the evil emotion we call guilt. Did you know that when you allow yourself to feel it – you are actually changing your body chemistry from an alkaline to acidic state automatically? When your body is in an acidic state it has several adverse effects like reduced energy, increase in free radical production (more on these nasties later!) and leaves us prone to all kinds of diseases and virus’s. So basically feeling guilty it turns out is even worse for us than the apple turnover was ever going to be! Our golden rule is that 90% of the time we are doing all the things we know are GOOD for our body, mind and spirit. 10% of the time we are FREE to choose some less appropriate things like a Mocha Cold Fusion with extra whipped cream mmmmmmm….. and so we have introduced you to 90/10! We use the word FREE because we have earned this treat. We need to eliminate everything negative so saying its our ‘naughty day’ OR ‘junk day’ is just as bad as feeling guilty so when you are doing your 10 – don’t just enJOY it REVEL in it!